The Hamlet is undertaking two exciting pilot projects in the coming year. 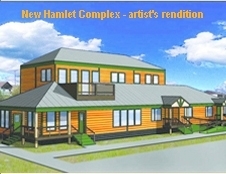 We will be constructing a new Hamlet Complex and a new Fire Hall. Check respective pages for regular updates. Visit often to see what progress has been made.